Welcome to the first Rudolph Days Challenge of 2016! It is the start of a New Year and we have some new additions to the Rudolph Days Challenge. We have lots of creative inspiration for you this month and without further adieu I am pleased to reveal the first four members of my design team. They will be our Designers for the January, March, and May, Rudolph Days Challenges. Hope you will give them a hearty welcome too! I'm a fiftysomething Craft Obsessive, who started crafting following a chance visit to a rubber stamp store in Minneapolis, a number of years ago. I now avidly collect (and actually TRY to use) all thing stamp and papercraft related. In 2008, I joined an on-line crafting forum and made friends with all sorts of crafters who've all been so helpful to me on my creative journey, and without whom I might still just be embellishing envelopes. I'm thrilled to be a member of this Design Team and encouraged to make projects for one of my favourite occasions - CHRISTMAS! Christmas tags, with a lovely sparkle and glimmer. simple greeting cards for my family, learned to make both fabric as well as paper flowers, tried my hand at embroidery, learned to crochet and make some jewelry. I started blogging only a few years ago and from there on, there's so stopping. Now, I spend most of my crafting time on making cards. But I do take time to try other crafts too. I like to experiment with new styles and techniques. I love to learn new stuff and get creative. I create CAS cards as well as layered cards, and everything in between. Like most of us, I find crafting to be a real stress buster. Berina has made a stamped kraft card. I think you will agree that those pine boughs and pinecones are so lovely! Jane Willis here. I live in Hampshire, England, with my husband. I have two grown daughters and four grandchildren. 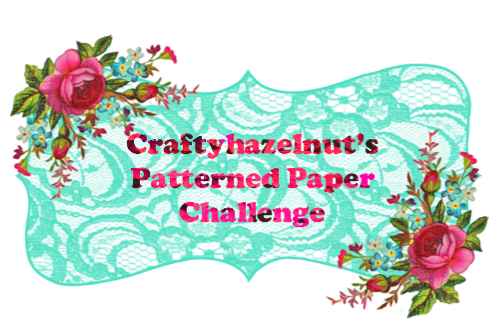 I've been a crafter all my life, and a papercrafter since I discovered stamping about 20 years ago. I also enjoy cooking, and entering (and winning) competitions. Until recently, I ran a small business producing a magazine for competition lovers. My husband and I love to travel, and you will often see recipes and crafty makes that have been inspired by our travels on my blog, Onion and Papers. Jane has made up an adorable card featuring two very full wee birds. Hi, I'm Sam, a stay at home Mum to a nine year old son and a rescue Labrador Collie Cross dog, Clio. I started crafting 10 years ago, when I moved to a new area and joined the local card making group. I'm now on the Design Team for Penny Black & More. If you take a look at my blog, you will know why!!! Besides crafting, I love travelling. Sam's card has an adorable collection of creatures just waiting for Christmas! My card is a fairly simple, quick make. I picked up a set of blackboard tags on clearance, just after Xmas last year. I had two Tattered Lace Holly Flourish Diecuts in my already cut out files and positioned one of them to hide the hole in the tag! I added what I think is the last of a VOS cardinal and then snipped a few sprigs of holly off the second diecut and tucked it behind the bird. Hopefully, that counts as my snippet for Pixies Crafty Workshop this week. I often snip diecuts apart and save the wee leftover bits in plastic sleeves in my bits files. If you look very carefully, there is an acrylic silver stamped snowflake just behind the bird, holly, and tag. The premade corner bling is from the local dollar store. It was fun to use and easy to place. Don't know the name of the DP as it got separated from the paper pad quite some time ago! I'm sure you all know how that can happen! I kept the inside very simple. The sentiment is from an old Christmas card and the silver snowflakes are Bo Bunny Rub-ons called Pretty Flaky. 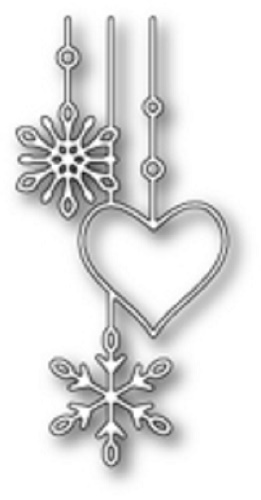 The January Rudolph Days Challenge prize is this Memory Box Snowflake Love Pendant Die. super DT cards, and what wonderful and varied styles too. Mo your card is super also and I love that fab bird, and your wonderful design. I have a rather busy day, but I will get over to your DT blogs later. Thank you so much for all your hard work involved in this fab challenge. Wonderful inspiration. I hope I can manage to play along, but my crafting time is extremely limited right now. Great tags and cards from your DT and your own Cardinal card is terrific. Please count me in for the prize drawer this month. Great cards from you Mo and the DT. Love the pine boughs & Cardinal in particular - off visiting the others now that we are up & running again, 11 months to go & all that lol! Oooo what a stunning Cardinal bird and gorgeous snowflakes and holly. Each designer did such a great job with their project! As for yours, Maureen, I find it very stylish and you've got quite some bargains put on there. Gorgeous makes from yourself (LOVE the cardinal - wish we got them over here!) and the super-talented design team! Oh forgot to say that I am playing for fun. If you do not think my card is 'Christmassy' enough please delete me! Loving all the cards and tags on display today Mo. I have made mine today but need to take piccies. Off out early tomorrow so will try and join in later! Love your cardinal card, such pretty birds. Happy to see you have some lovely team mates join you with their lovely cards too. Congratulations to the Design Team! Fabulous projects - I especially love the kitty! I'll be back to join in! Congrats to the new DT and all of your wonderful creations! I'm always inspired by all of the pretty Christmas creations, and Mo, your beautiful red cardinal is gorgeous! What a pretty card! A great team--wonderful inspiration! Such a fabulous die & I need to get going on Christmas cards, so I'll be entering for sure! wow a wodnerful collection of cards from DT great to see and lovely diversity too. Congratulations to your new DT - fabulous samples! Fantastic inspiration here, Maureen! Kudos to the Design Team! Love your cardinal! Love the design team inspirations! Yes! This year I'm not going to wait until December 15th to start making cards. Thanks for helping meet that goal. Lovely cards from the new design team and yourself. I am sorry that I haven't made anything to post this month. I was unwell for two weeks after Christmas with a horrible cold and then apart from having no crafting mojo I was busy preparing for a visit from my sister, and for my holiday with her when she returns to Spain later this week. I hope to be back in full crafting again mode when I come home. Sorry about the confusion with Kate's blog post, she was trying to post it from my computer, which was causing a few problems but it seems to be OK now. Well I made it in time Mo, I was determined to do better this year. And so nice to see you have a design team with some lovely inspiration. You've picked a very talented team Mo, the inspiration cards are gorgeous, a great variety of styles showcased here! Great samples from the DT. I'm going to try and be more organised next month, especially as it's shorter. love your card, Mo, along with all the creative and varied styles of the DT members! Lovely inspiration from the DT. Just found this Challenge! Hope to link up again! Congrats to new design team ladies. Your cards are inspirational. Thanks for sharing these beauties. This month Rudolph day challenge is so exciting! So I made a card for this challenge. Thank you for your reply and detail explanation. I changed my blog language to English and I linked your blog. I'm very happy to join this challenge! I love this challenge, I like the time limit and that it is monthly. You do a great job hosting! The samples are lovely! Lovely DT inspiration, so glad to have found your fun challenge. Thank you for the chance to win a lovely die set. Hi Mo, I hope this finds you well. A lovely selection of cards there from the DT. Happy crafting! How lovely to see you in the Snippets Playground with your wonderful cardinal card Mo! It's really beautiful! Fabulous inspiration from you and your DT members Mo, thank you for hosting this great challenge, I'm determined to join in each month this year. So much to look at here, they are all so lovely in different ways. I like blackboard style sentiments very much. My word - how many people have entered this challenge. Might popular! Made it finally. Hope you like the tent cards. Hugs Mrs A.
fabulous challenge! and if I keep with you all year I will at least have a dozen cards for next Christmas! 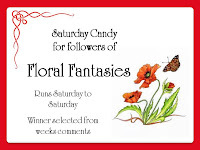 Hi Maureen, I am late for the challenge as my post is after midnight in the uk and my post says 1st February so am only playing for fun as I did want to enter a card even if it is extremely late! What gorgeous cards from the DT, and I love yours, too, Mo, so classic!